The solution involves use of a tool called pkg-config which can be used to ask a system module about its -I search paths and -L flags and most system modules already conform to pkg-config however it does make swiftpm dependent on it for system modules. Lets try to do this and make a simple Gtk window. This is a normal modulemap wrapper package for a system module with two extra things in Package(). pkgConfig - is the name of system module which has to be used while querying pkg-config, the proposal suggested to parse modulemap and infer name from link but looks like they won’t always match. providers - is an array of enum which will suggest system packagers to use depending upon the system in case the system module is not installed. Since manifest files is loaded, dumped to TOML and then reconverted back to swift, these should be made TOML convertible. 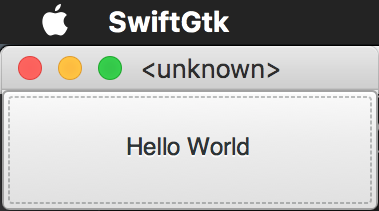 str += "name = \"\(name)\"\n"
str += "value = \"\(value)\"\n"
result += "pkgConfig = \"\(pkgConfig)\"\n"
Also, need to update fromTOML().swift in ManifestParser module to parse the TOML representation. Now, lets create a class called PkgConfig that will wrap the pkg-config’s functionality. It’ll throw error if pkg-config or the system package is not installed. return (try? popen(arguments)) ?? "" We need to display the right provider help in case system module is not installed. Create an extension in Build module which would take array of the provider enums and try to figure out the provider for current platform. return "    brew install \(name)\n"
return "    apt-get install \(name)\n"
Only thing left is asking PkgConfig what flags to add for each CModule which defined a pkgConfig name and append those flags in build params. PS: This was just for experimental purposes, the proposal is in draft state right now and might have some changes before its accepted or might not get accepted at all.